Born on April 2, 1947 in Philadelphia. 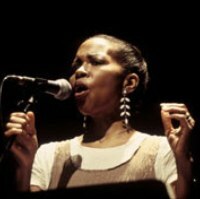 From the early New York avant-garde’s raw voice to low key icon later in Europe, interpreting timeless standards as well as autobiographical compositions, the singer Linda Sharrock’s path has avoided the all too common jazz vocal pitfalls of academicism and mannerism. Linda Chambers spent her childhood singing in school and church. At the end of her adolescence, she immersed herself in the New York underground, home of the free jazz vanguard in the mid-1960s. She worked with Pharaoh Sanders, took some lessons with Giuseppe Logan and met guitarist Sonny Sharrock whom she married and accompanied in all his musical experiences until their separation. Favoring energy and sharpness, using all vocal resources from whisper to scream, she developed a non-verbal improvisation style, which departed from female vocal artistry as practiced in jazz until then. Singing "a la" Irene Aebi with Steve Lacy, with some hints of Jeanne Lee and Abbey Lincoln, her style - radical and committed - allows her to compete with the brutal saturations and electrical distortions that constitute Lacy's energetic playing. Three albums illustrate this association: "Black Women" (1969), "Monkey-Pokie-Boo" (1970) and "Paradise" (1975). After her divorce in 1978, Linda Sharrock settled in Vienna to pursue a mostly Austrian career. In the mid-1980s, a collaboration with her future companion, saxophonist Wolfgang Puschnig, resulted in the formation of various groups, the first of which was named “Pat Brothers” (with Wolfgang Mitterer on synthesizers and Wolfgang Reisinger on drums). After a long period of silence, it gave rise to an abundant record production at the turn of the 1990s. In 1987, Puschnig's interest in Far-Eastern music led to a lasting collaboration with a group of South Korean percussionists, Samul Nori, the band Red Sun and fruitful exchanges with traditional musicians (several albums were recorded in Vienna and Seoul in 1989, 1993, 1995 and 1997). With pianist Uli Scherer, and Sharrock Puschnig she formed the trio AM4 (A Monastic Quartet), which combines interpretations of standards and personal compositions. On the advice of a poetry teacher, Linda Sharrock gave even greater prominence to the words of her songs, as if they were autobiographical. 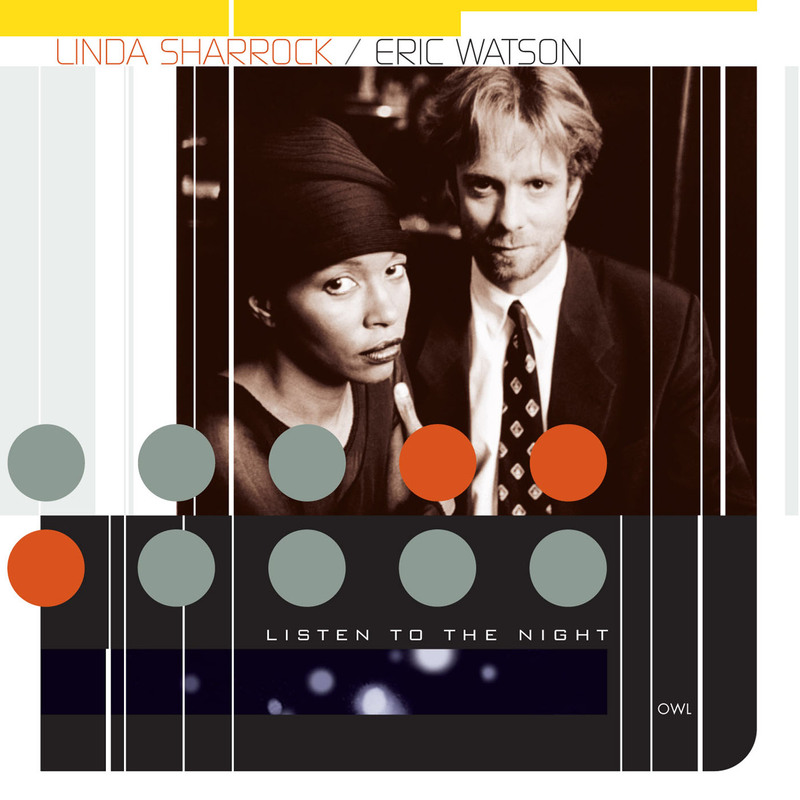 She also rekindled a more traditional jazz vocal style while carefully staying away from conservatism: in 1988, she gave her own interpretation of songs traditionally associated with Billie Holiday ( "On Holiday") in duet with bassist Jamaaladeen Tacuma; in 1994 , with pianist Eric Watson she adopted the same stripped down style ( "Listen to the Night"). Constantly in search of new experiences, she returned to her hometown to perform with her musical accomplice Wolfgang Puschnig, an album where her words do battle with those of rappers The Roots and the Austrian poet Ernst Jandl. The lasting imprint of European jazz and her inquisitive spirit (a legacy of her "free years ") led her to encounters of all kinds: with the Vienna Art Orchestra (Lush Life, in 1996); Trio with Puschnig and Michel Godard; in Korea with Dhafer Youssef and traditional musicians (1997); a duet with Eric Watson to reread the classics of Duke Ellington (1997); Japan with Aki Onda (1998); and many more. In 2005, she reconnected with the French public by recording a French trio with pianist Stephen Oliva and bassist Claude Tchamitchian (“Confessions"), reminding them of her commitment to a voice “sans” adornment.